Historically speaking, Six Sigma has evolved from a quality improvement tool in the mid 1980’s to a fact-driven system of business management in the 2000’s. Over the last 20 years there have been many events and contributions that have shaped Six Sigma. Even today, the evolution of Six Sigma continues – growing in both power and diversity, throughout the world. 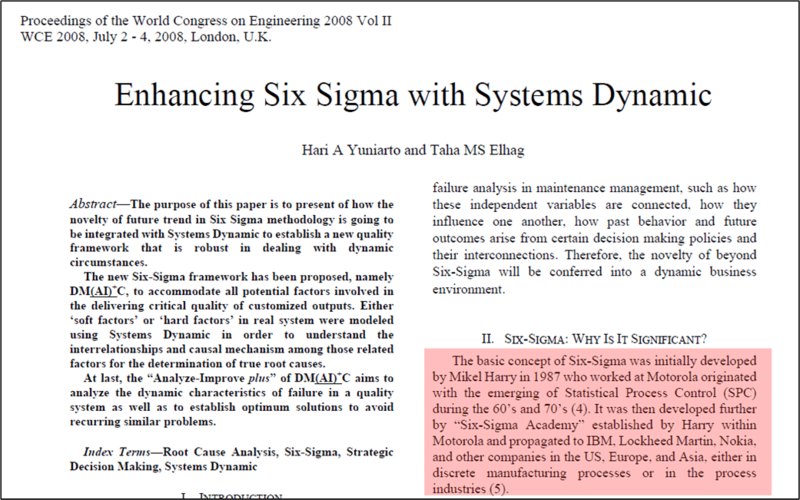 Over the last two decades, there have been an array of contributors to Six Sigma. Through their efforts, Six Sigma has steadily progressed from art to science. The purpose of this webpage is to provide a document-based accounting of Dr. Harry’s contributions to the creation and propagation of Six Sigma. 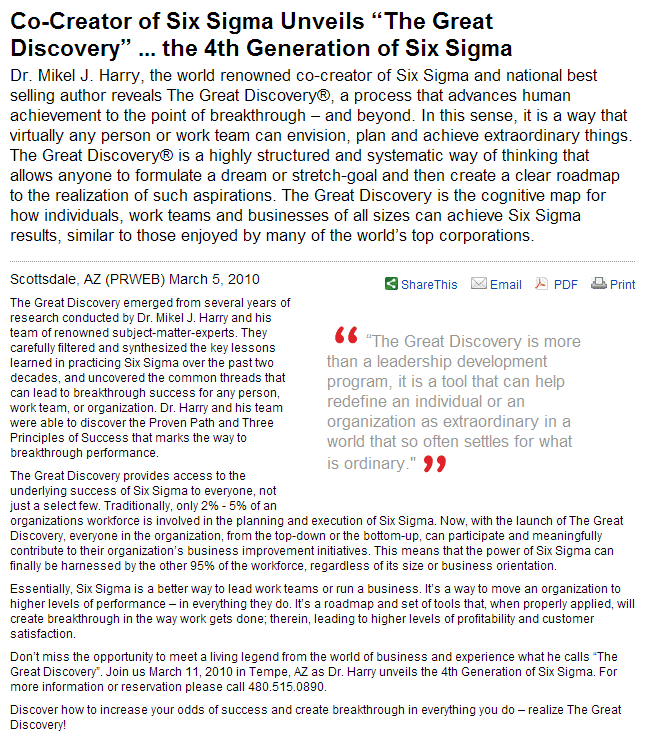 Dr. Mikel Harry releases The Great Discovery Associate Program. 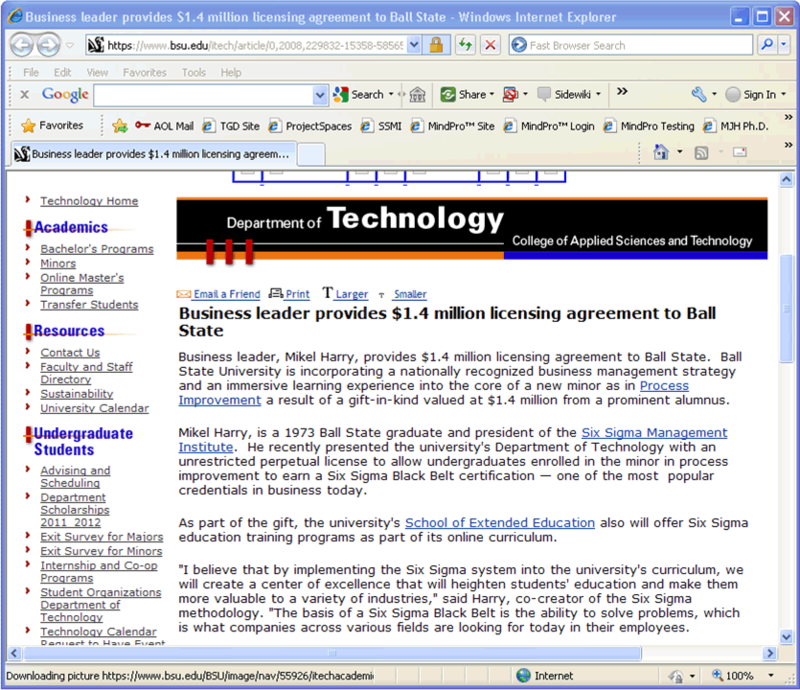 Dr. Mikel Harry recognized and cited on the QualityGurus.com website. 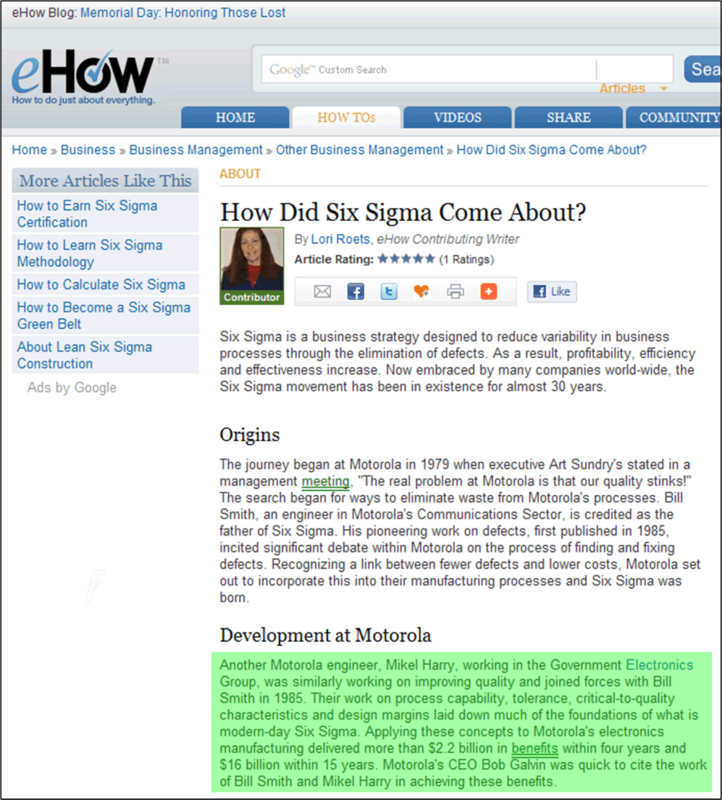 Dr. Mikel Harry and Mr. Bill Smith cited as the originators of Six Sigma by eHow.com website. 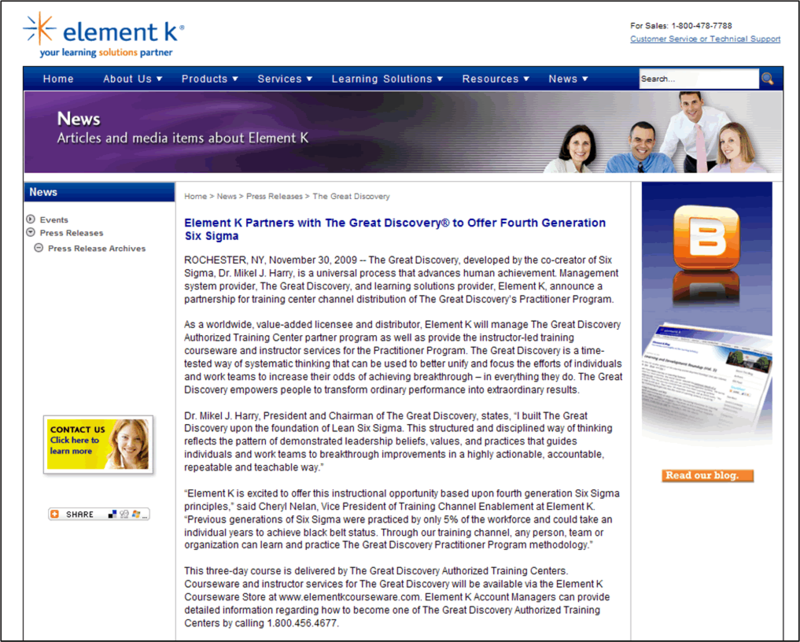 Dr. Mikel Harry partners with Element K to offer The Great Discovery to the commercial marketplace. 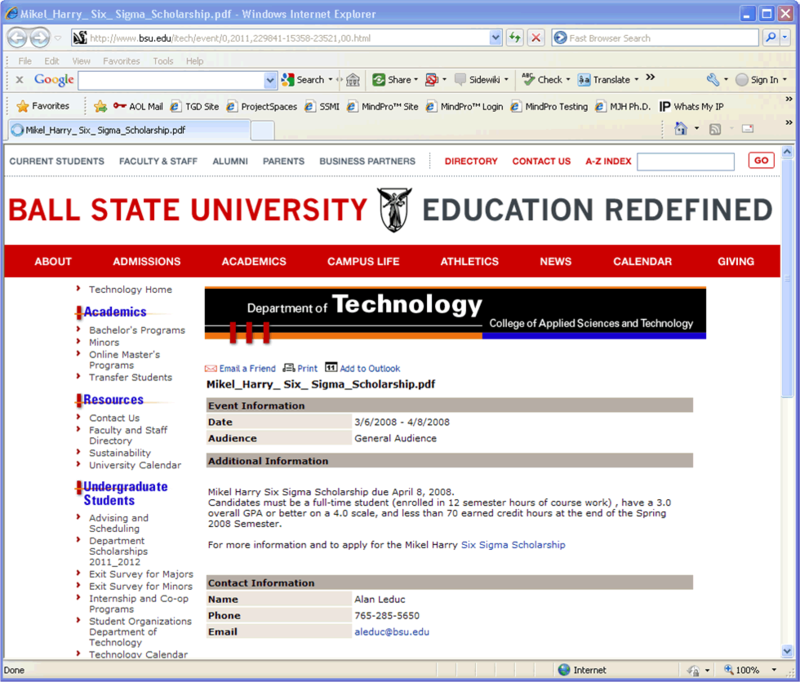 Dr. Mikel Harry works with Ball State University to create a Six Sigma minor for the Engineering Technology Degree Program and installs MindPro as the online training resource. Dr. Mikel Harry releases The Great Discovery Practitioner Program. Dr. Mikel Harry continues philanthropic work with institutions, charities and individuals. 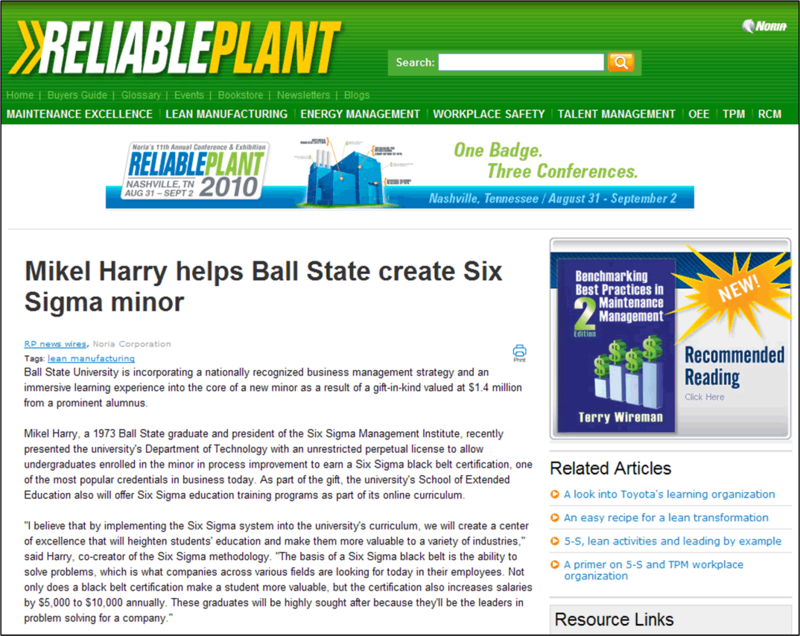 Dr. Mikel Harry creates Six Sigma Scholarship at Ball State University. 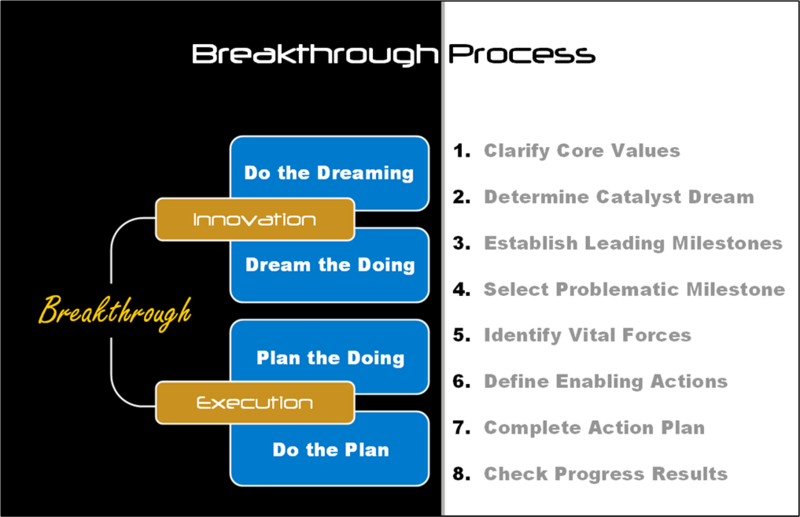 Delfino Media Group in Hollywood releases the Six Sigma for Kids Program featuring Dr. Mikel Harry and The Great Discovery Breakthrough Process. 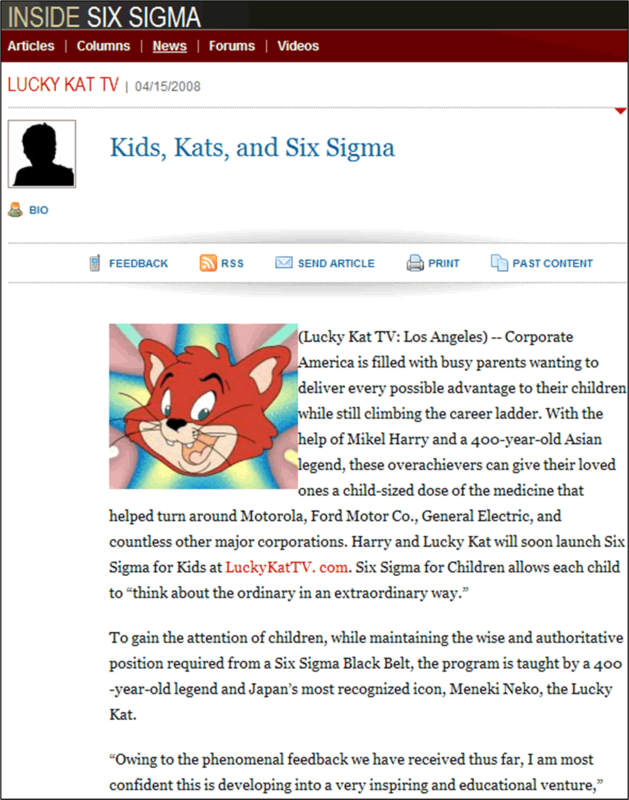 iSixSigma.com, the generally accepted Six Sigma community, unveils the Six Sigma for Kids program. 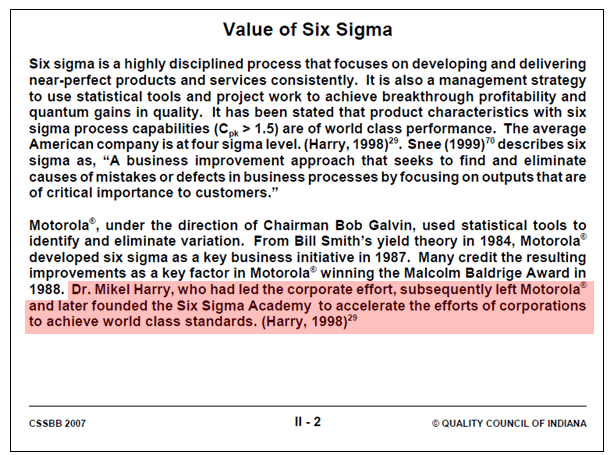 Dr. Mikel Harry cited as one of the original innovators of Six Sigma by the World Congress on Engineering, London, UK. 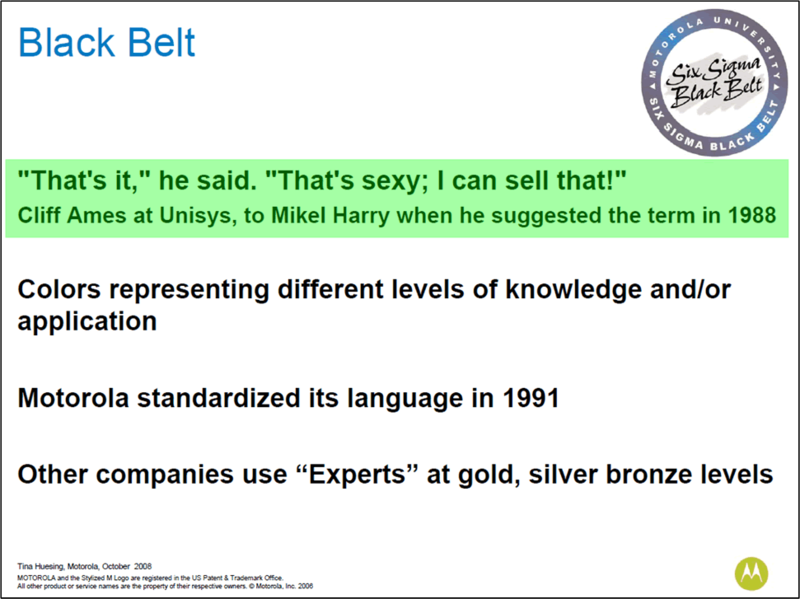 Motorola Inc. recognizes Dr. Mikel Harry as the originator of the Black Belt naming convention. 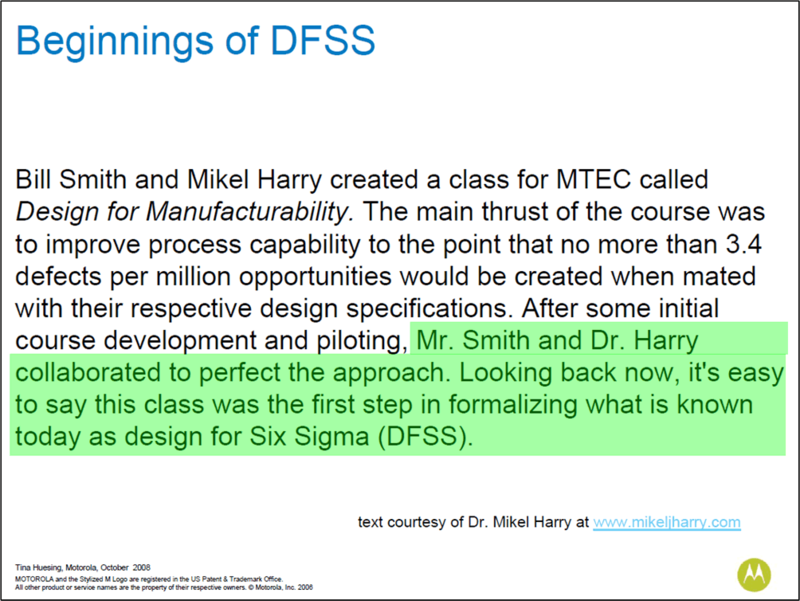 Motorola Inc. recognizes Dr. Mikel Harry and Mr. Bill Smith as the original creators of Design for Six Sigma. Dr. Mikel Harry works with Delfino Media Group in Hollywood to introduce the Six Sigma for Kids Program. Quality Council of Indiana recognizes Dr. Harry’s leadership of Six Sigma at Motorola. Dr. Mikel Harry cited by Quality Digest magazine as the world’s foremost expert on Six Sigma. 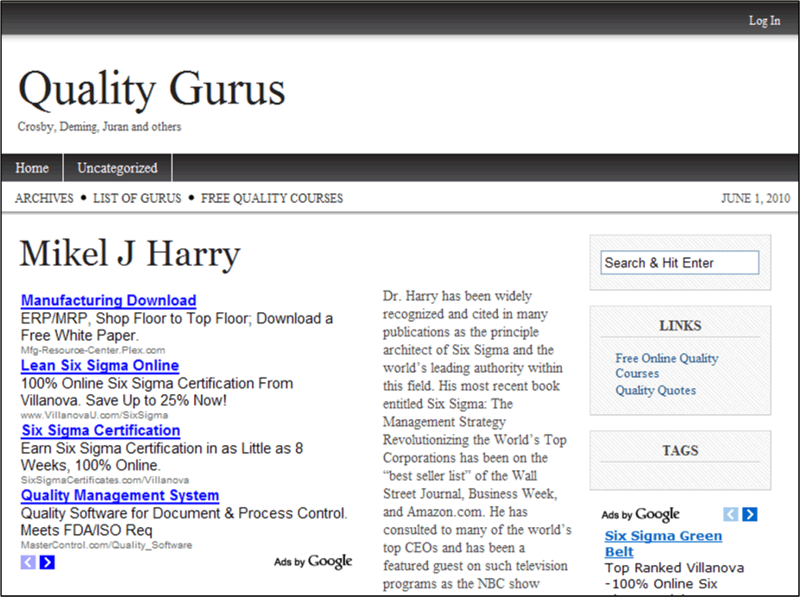 Quality Digest recognizes Dr. Harry’s Six Sigma work with the US government for the war terrorism. 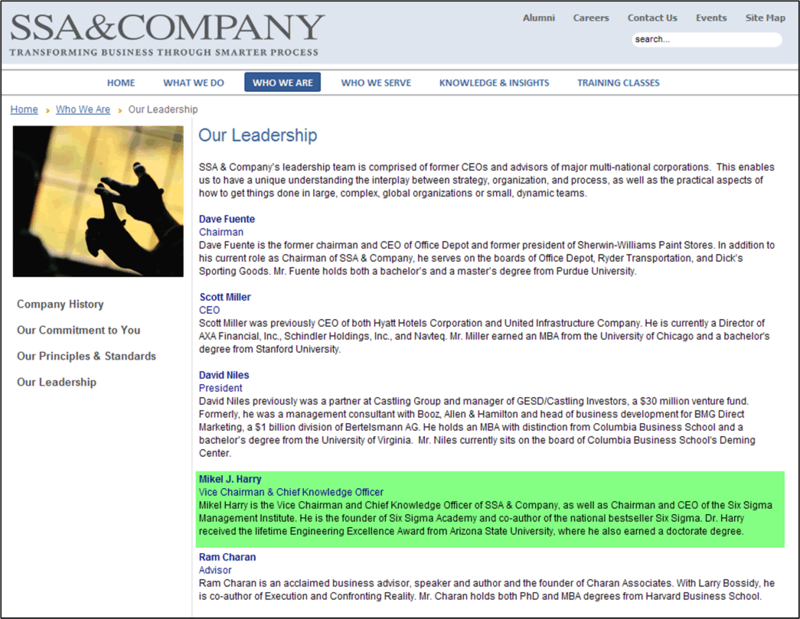 Dr. Mikel Harry rejoins the Six Sigma Academy, Inc. as Vice-Chairman and Chief Knowledge Officer. Dr. Mikel Harry formulates the Breakthrough Process that underpins The Great Discovery. 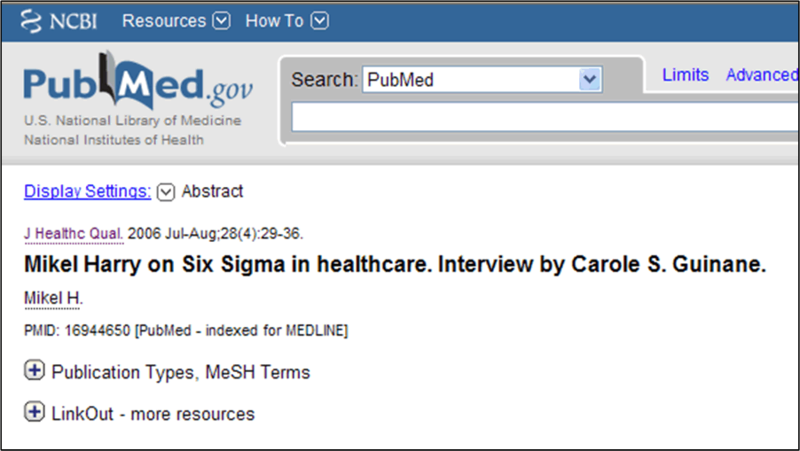 Dr. Mikel Harry extensively interviewed by the Journal of Health Care Quality. 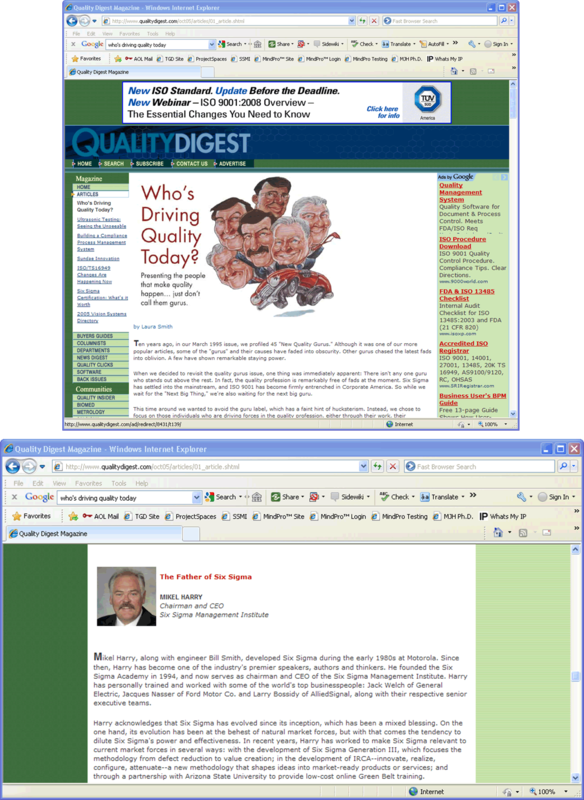 Dr. Mikel Harry recognized by Quality Digest magazine as the “Father of Six Sigma”. 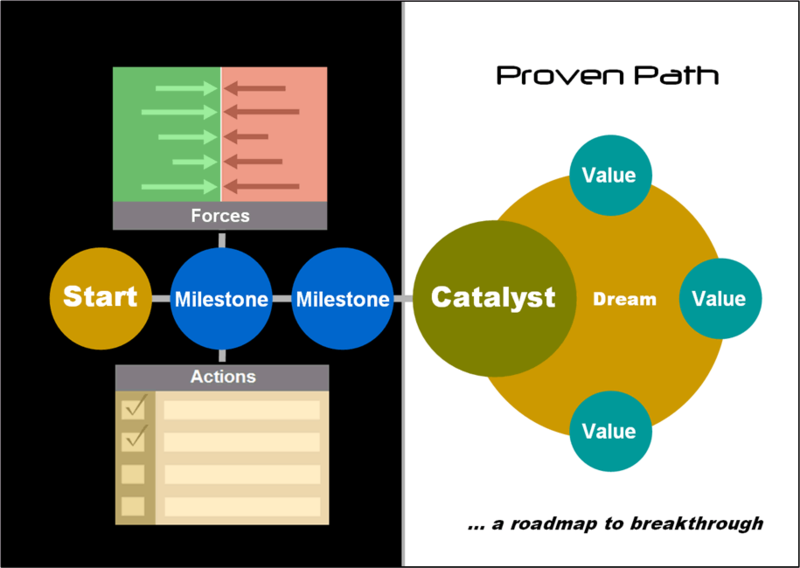 Dr. Mikel Harry completes research on the cognitive roadmap underpinning Six Sigma, later to become known as “The Proven Path”. 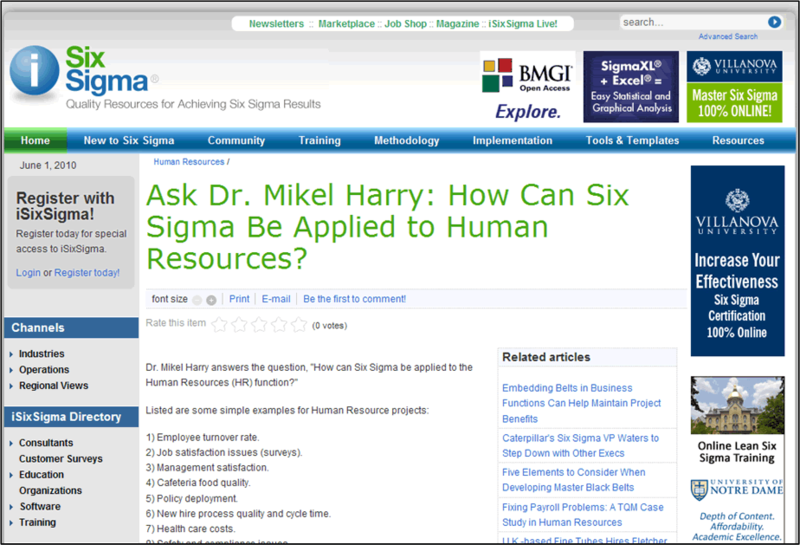 Dr. Mikel Harry prepares an extensive FAQ section for iSixSigma.com. Dr. Mikel Harry and Mr. Richard Schroeder publish best selling book "Six Sigma: The Breakthrough Management Strategy Revolutionizing the World's Top Corporations"
The business book "Six Sigma" by Dr. Mikel Harry and Mr. Richard Schroeder tops the charts and is bestowed the title "Best Seller"
Dr. Mikel Harry forms the Six Sigma Academy in Scottsdale Arizona and subsequently engages Mr. Rich Schroeder as a full partner in the consulting firm. Following nearly two years of work, Dr. Mikel Harry publishes the textbook entitled: "Achieveing Quality Excellence: The Strategy, Tactics, and Tools"
Motorola engineer Dr. Mikel Harry publishes first formal description of Six Sigma within the book entitled: "Achieveing Quality Excellence: The Strategy, Tactics, and Tools"
Motorola engineer Dr. Mikel Harry publishes the first white paper on Six Sigma: "The Nature of Six Sigma Quality"
ASU doctoral student Mr. Mikel Harry begins intensive research on a scientific data-driven system of problem solving subsequently named the "Logic Filters"